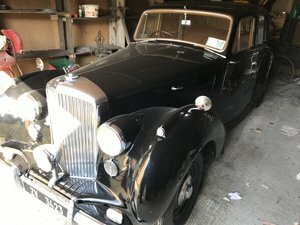 In 1946, Rolls-Royce/Bentley introduced a new model that would mark a significant milestone in the history of both of these great British marques. 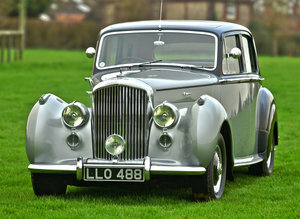 The Bentley Mark VI, (joined by the Rolls Royce Silver Dawn in 1949) was the company’s first postwar production car and the very first model to be offered with a standardized, all-steel production body. 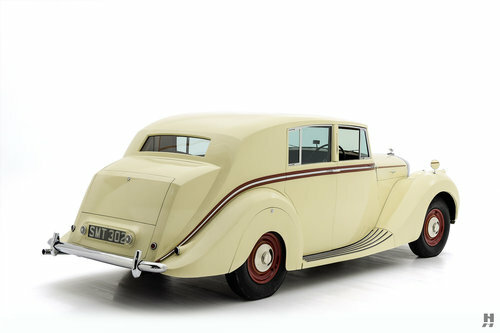 Known rather unglamorously as the Standard Steel Saloon, Pressed Steel Ltd made the panels, and the cars were assembled at the newly integrated Rolls-Royce works in Crewe. Mechanically, it was similar to the pre-war Mark V, with independent front suspension on the sturdy chassis and a 4.25 liter inline six. The world’s economy had changed dramatically since the war, and the practice of ordering custom coachbuilt bodies was falling out of favor among buyers. As a result, a number of the traditional British coachbuilders were closing up shop. 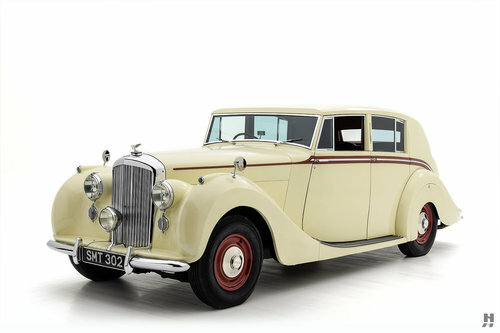 While some felt this change cheapen the brand, the gamble paid off, and thanks in large part to the immediate availability of standard cars, sales were brisk, and the Mark VI would be the most successful Bentley model to date, with 4,946 examples produced. 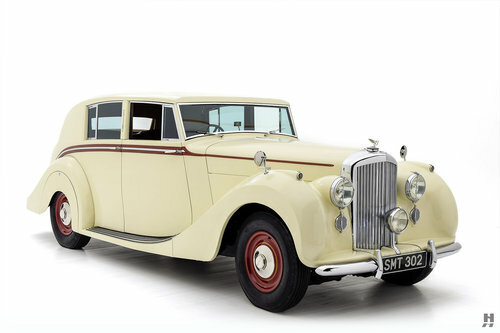 Bentley remained keen to hold on to traditional buyers who desired something more bespoke than the handsome but ubiquitous Standard Steel Saloon. A rolling chassis could still be ordered and delivered to any number of coachbuilders. Among the most prolific to work with the Mark VI were H.J. Mulliner, James Young, and Park Ward. 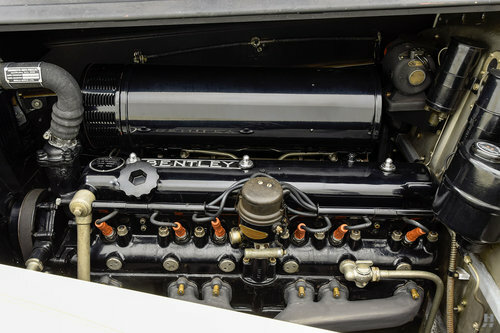 A wide variety of coupes, cabriolets, and saloons were produced, demonstrating the robustness and versatility of the Mark VI chassis, though less than a quarter of total Mark VI production would be bodied by outside coachbuilders, proving that a bespoke Bentley was a luxury reserved for a privileged few. Freestone & Webb was one coachbuilder that enjoyed steady business with Mark VI customers. 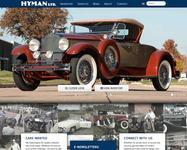 The firm was founded in 1923, specializing in Rolls-Royce and Bentley coachwork for their entire existence. In the years before WWII, they gained notoriety for their exquisite quality and stylish, razor-edge “Top Hat” saloon bodies. As regular exhibitors at the London Motor Show, Freestone & Webb were awarded the Gold Medal for Private Coachbuilders an incredible nine times in a row. The firm produced a total of 67 bodies for the Mark VI spanning twenty different styles, the majority of which were variations on their preferred closed saloon designs. Our featured Mark VI is one of six examples to be fitted from new with Freestone & Webb’s handsome razor-edge 4-light Top Hat Saloon, style number 3010/A. According to Rolls-Royce Foundation documents, chassis number B103AJ was signed off by Crewe on April 25, 1947, and despatched to Freestone & Webb to receive its coachwork. The first owner is listed as Stanley Gliksten, who appears to have been a serial Mark VI buyer, owning at least three others. Subsequent owners included Alan D. Buck, and then Andrew Spranza of Carmel, California who purchased the car in 1973. In 1980 it was sold to Robert Cole of Hillsborough, California. Spranza and Cole were both active RROC members, and they enjoyed the car on numerous club events through the years. Today, this handsome Bentley presents with a remarkably well-preserved restoration, finished in cream with deep red wheels and accents. 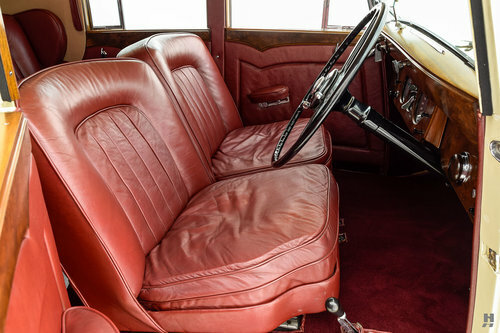 The coachwork follows the basic pattern of the Standard Steel Saloon, but with crisp edges, a lower roofline and a fuller, more generous passenger compartment. It is an understated and finely balanced design, in the best tradition of Freestone & Webb. The car wears a good quality and well-maintained older restoration. The paint retains a warm luster and is very attractive overall with just some minor wear and touchups showing on the door and bonnet edges. Chrome trim is kept to a minimum, though the lights, bumpers, radiator shell, and side spears are in fine condition. Doors open and shut with precision, reflective of the quality of the original Freestone coachwork. 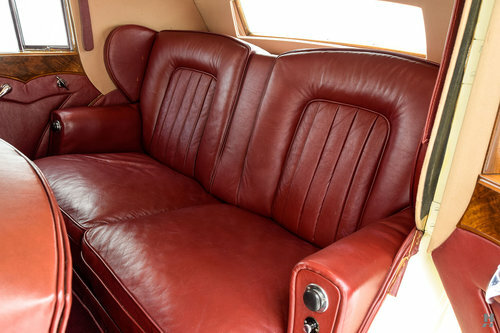 The fabulous interior is trimmed in deep red leather with complementary red wool carpets. Well-preserved burl wood trim features prominently on the dash and door caps. The leather upholstery is lovingly broken in, showing moderate creasing in the individual front seats, while remaining supple and appealing. Rear passengers enjoy luxurious red leather armchairs which present in similarly excellent condition. Detailing is faithful to original, with correct controls and switches found on the dash and steering column. The build sheet confirms this car retains its original engine, serial number B185A. The 4.25 liter inline six is tidy and appropriately detailed for a vehicle that is well-suited to casual enjoyment and touring. It appears well-maintained, and it runs well, with distinct smoothness and satisfying mechanical action of the four-speed manual gearbox through the unique right-hand mounted shift lever. As one of just a handful of Mark VI chassis bodied by the great Freestone & Webb, this delightful example has enjoyed many years of care in the hands of dedicated enthusiasts. It remains in excellent order, having taken on a pleasing character from the years of careful use. Ready for Rolls Royce Owner’s Club and Bentley Driver’s Club events, this handsome and practical Bentley is sure to charm its next keeper for years to come.